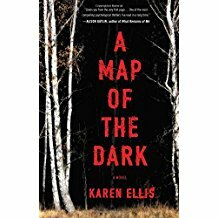 A Map of the Dark introduces us to FBI agent Elsa Myers, and to what appears to be the first in a new police procedural series. Elsa is at the bedside of her terminally ill father, when she gets a call to assist NYPD Detective Lex Cole. Cole has specifically requested Elsa's help on a missing teen case, because she has an excellent track record within the Child Abduction rapid response team. Elsa had a difficult childhood, and this has clearly shaped the way that she deals with these extremely emotional cases - and she's nothing if not dedicated. As investigations get under way, all the clues appear to point to a ‘repeater’: someone responsible for other missing teens. Although Lex is new to child abduction cases, he appears to be quite adept, which comes as something of a relief to Elsa, as she struggles to come to terms with her father’s imminent death, alongside her own personal demons. Elsa is a very complex character, but flashbacks to her childhood provide a comprehensive insight into what defines her personality in the present - in fact I felt rather too much time was dedicated to her background, leaving the investigation itself feeling a little sparse in its construction. After a slow start though, the pace picks up considerably, with a few twists along the way, and although the reveal at the end was something I was expecting, I did enjoy it overall, and I feel that now that we've got Elsa's background out of the way, I believe the series has great potential.